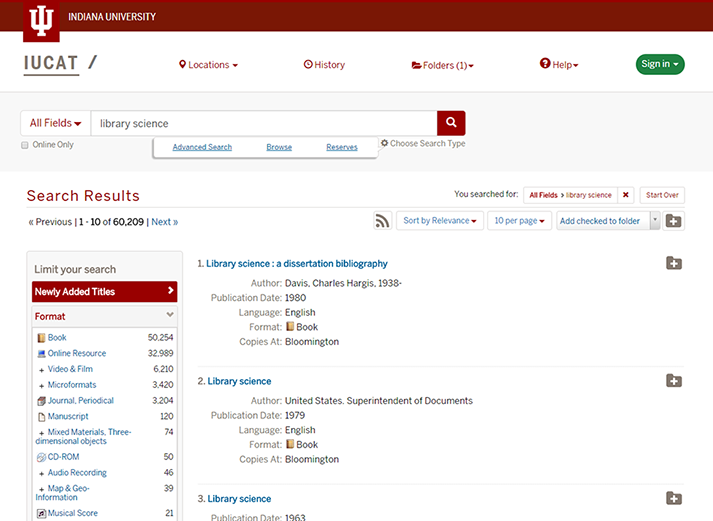 With the IUCAT Newly Added Titles facet, you can filter results for any search to show titles added to the collection in the past 30, 60, or 180 days (appearing at the top of the limiters). Because Newly Added Titles is a facet, you can create tailored lists by combining search terms and additional limiters such as format. In combination with the existing RSS availability for any search, this will allow you to construct tailored lists of newly added titles for use in course guides or elsewhere on the web. 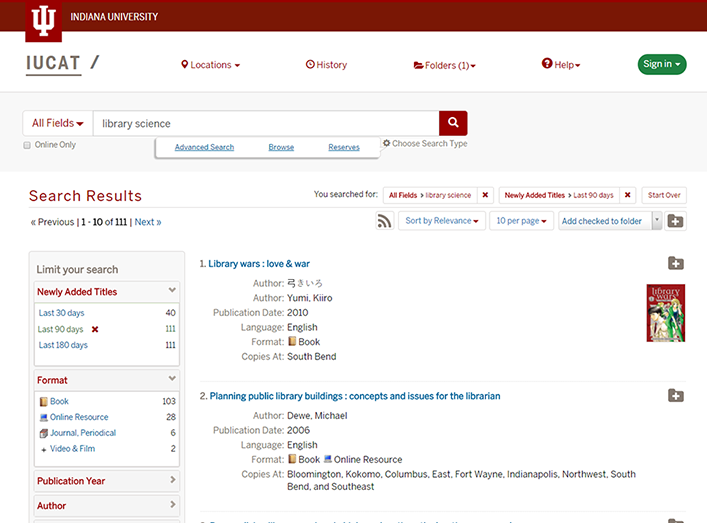 Newly Added Titles is also available within campus views, so any results there will also automatically be limited to items held at that campus. This is document bfqq in the Knowledge Base. Last modified on 2018-11-28 12:02:35.